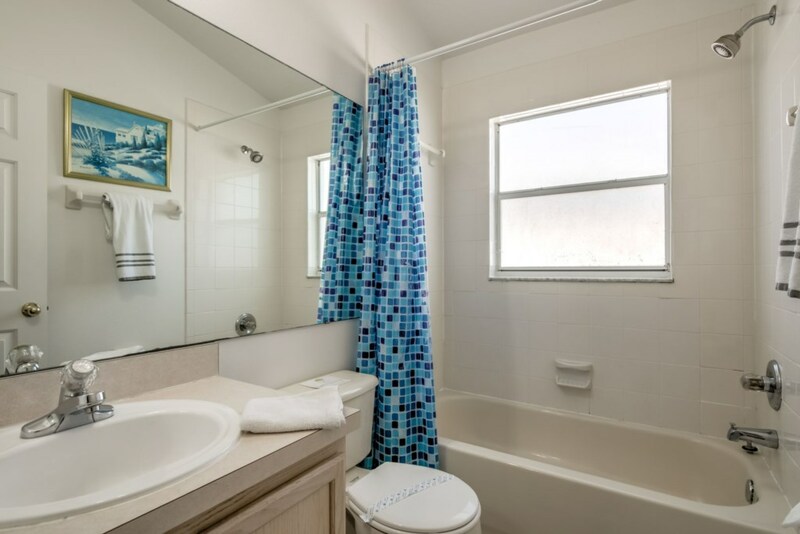 This 4-bedroom and 2.5-bathroom villa is situated at the beautiful Eagle Point and can sleep up to 8 guests. 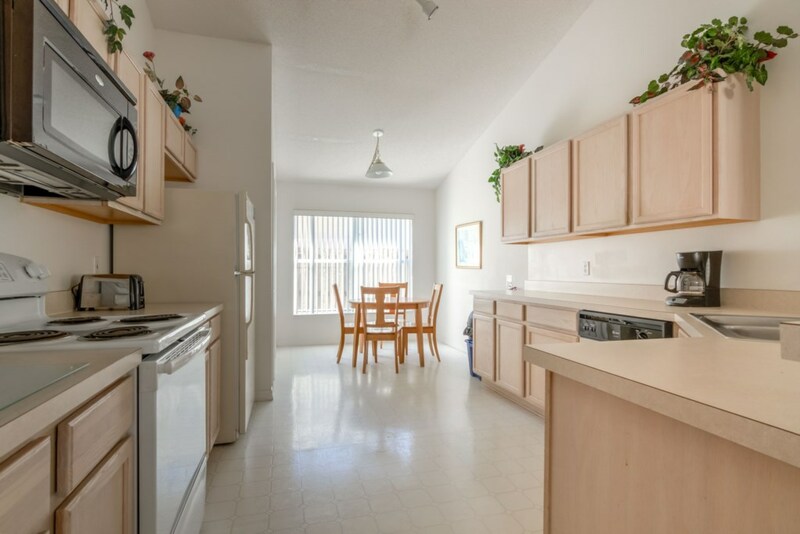 The spacious kitchen is equipped with a dishwasher, oven, stove, fridge, microwave, and a small breakfast table that seats up to 4 guests. 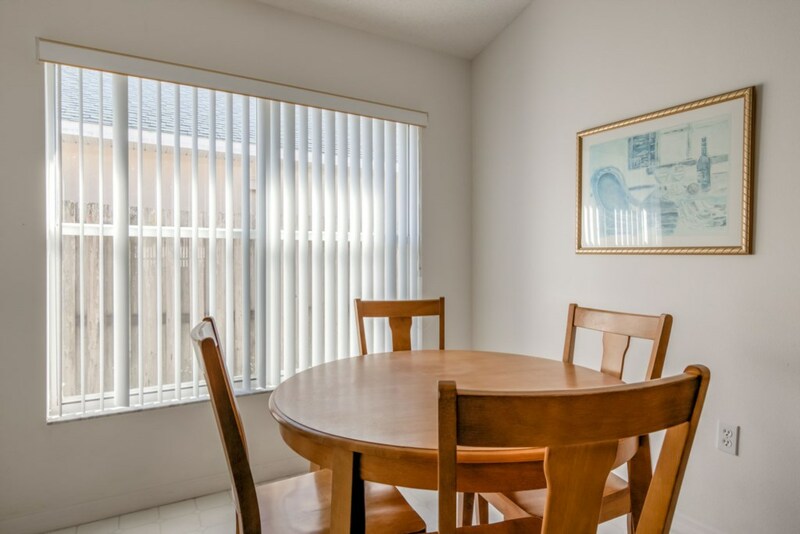 The dining room is complete with contemporary-style dining suite, which seats up to 6, and the large bay windows fill the dining room with warm, natural sunlight. 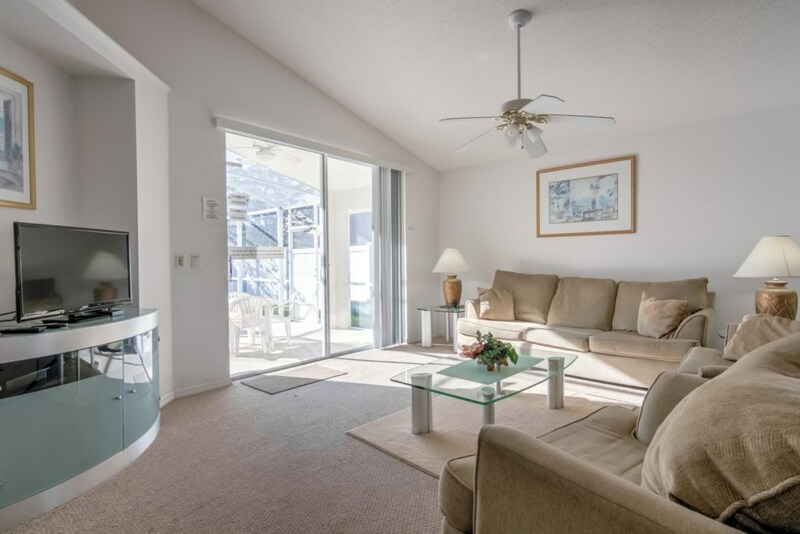 The living room has 3 comfortable sofas along with a 28” TV and DVD player, for added entertainment. 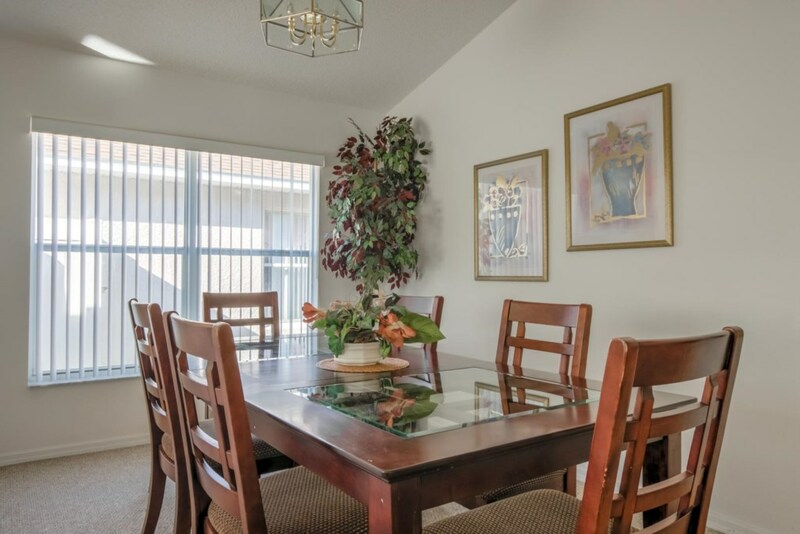 The living room’s large windows fill the room with natural sunlight during the day. 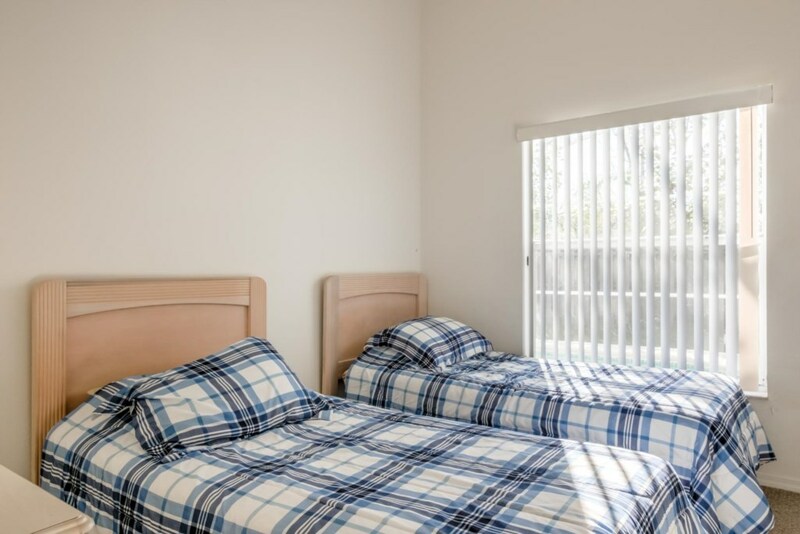 There are four bedrooms: 1 master bedroom with a queen size bed; 1 bedroom with a queen size bed; and 2 bedrooms with 2 single (twin) beds each. 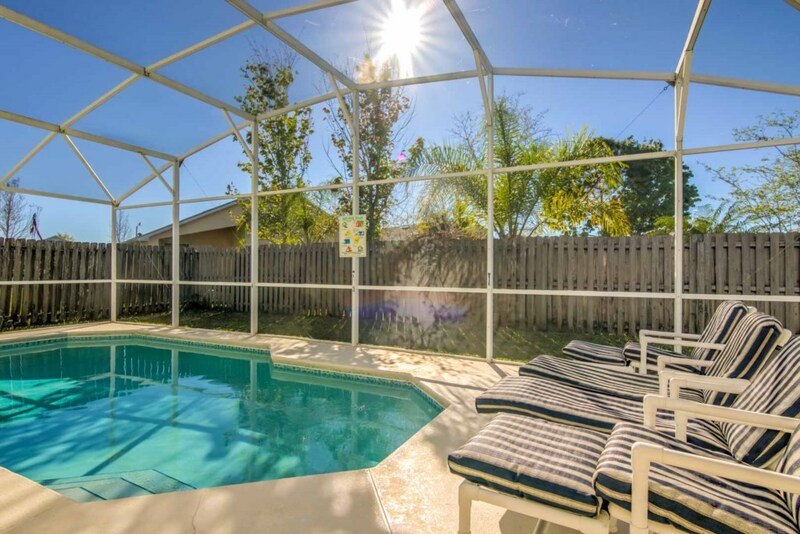 The covered patio features a private pool (with optional heating) with patio furniture (chairs, dining table, and sun loungers). 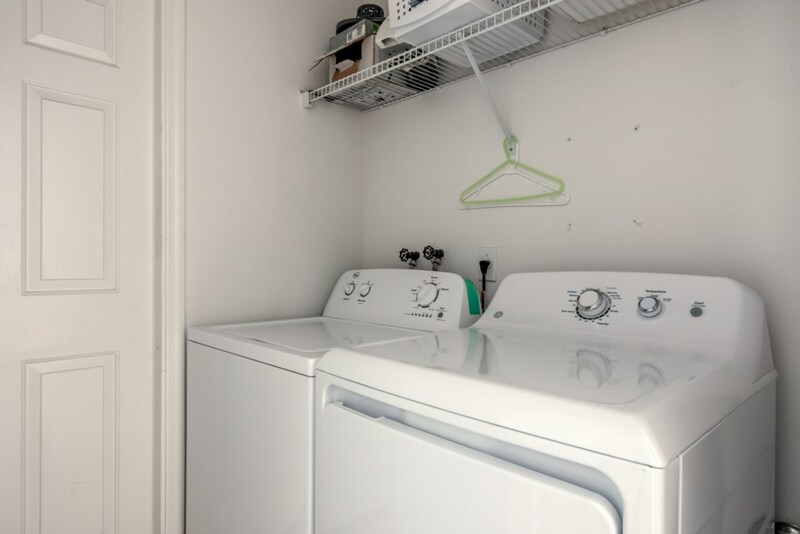 Wi-Fi is available throughout the house. 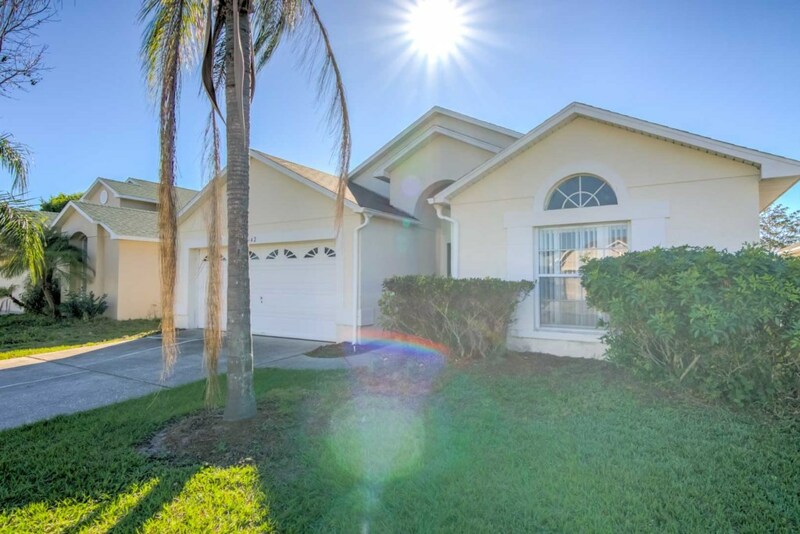 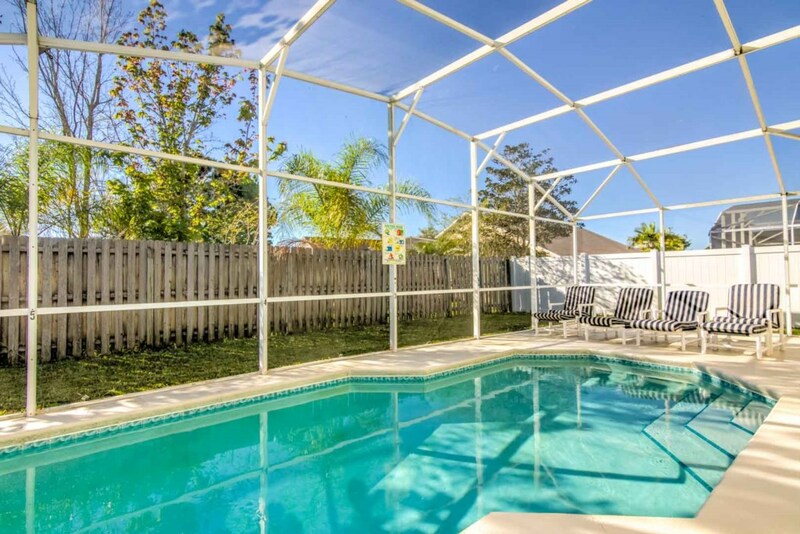 Eagle Pointe rental vacation home community is on Poinciana Boulevard, just 3 miles south of US Highway 192. 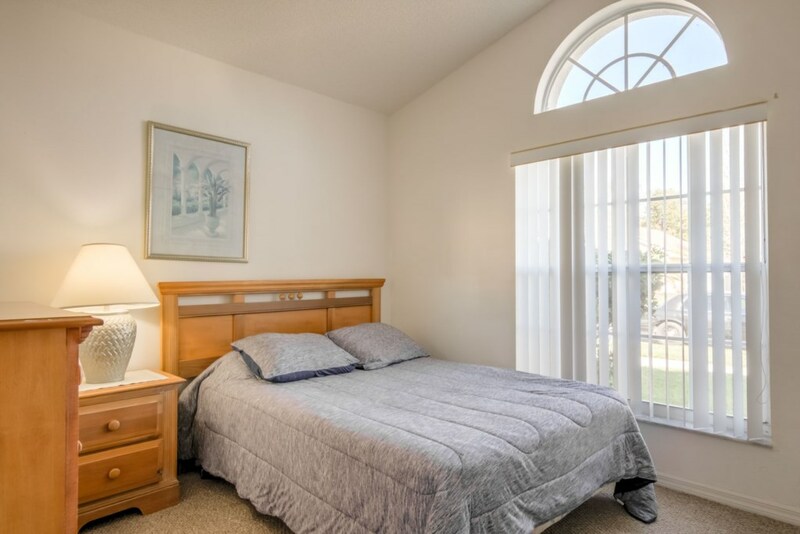 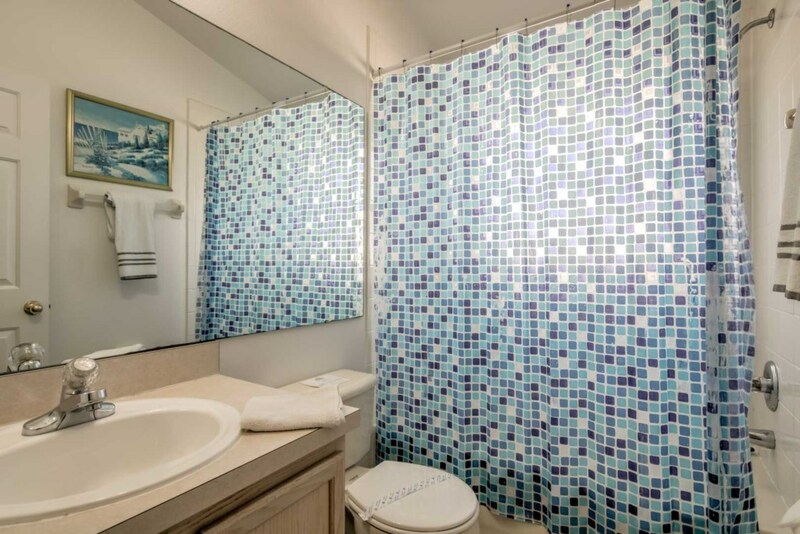 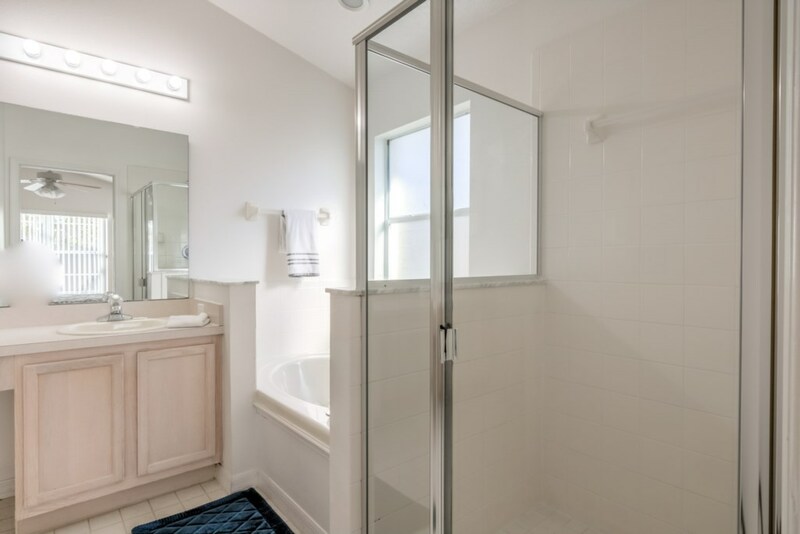 It is an easy 20 minutes from Orlando International Airport, using just three main roads! 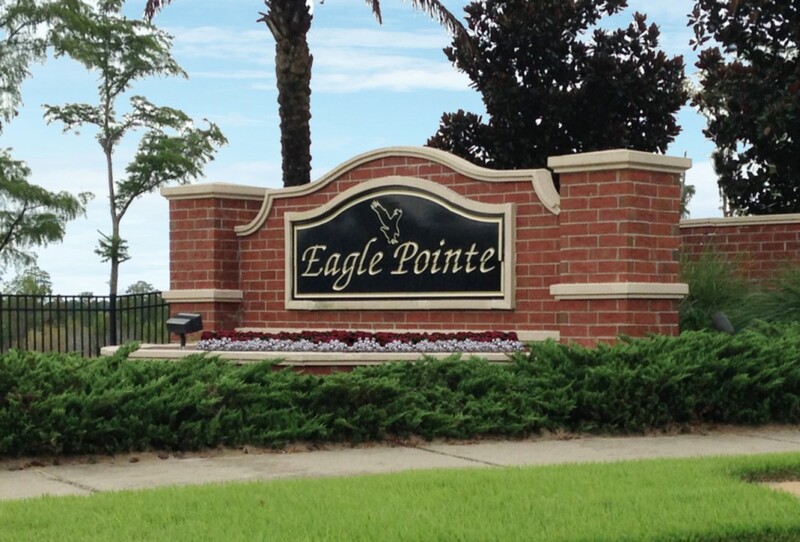 Eagle Pointe is a safe community that is set in a peaceful protected wooded area with a pretty lakeside setting. 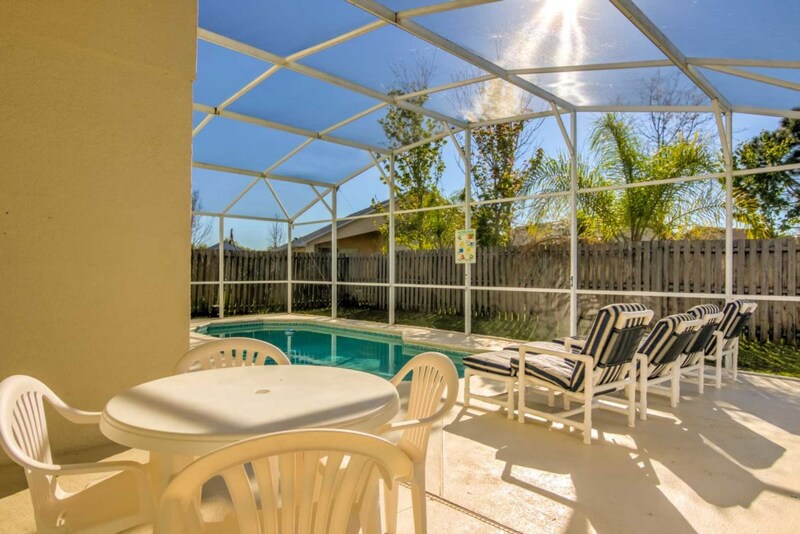 It is a family-oriented neighborhood ideally situated for a vacation that your family will cherish forever! 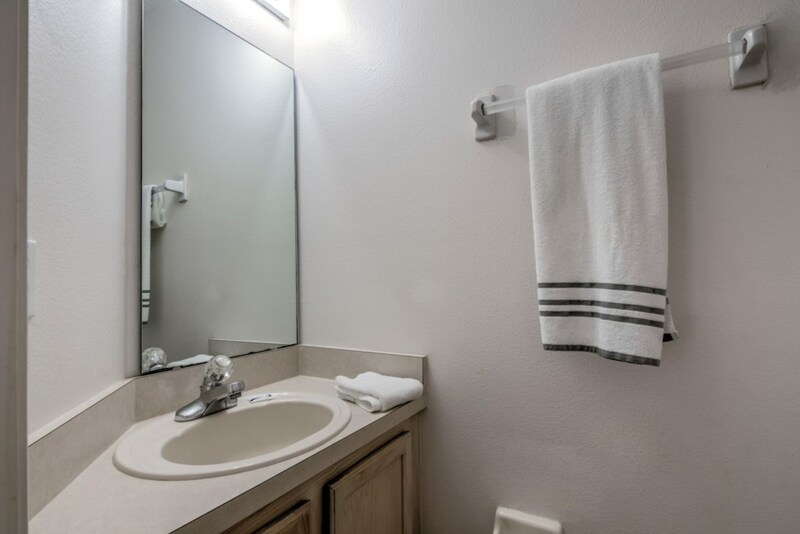 Take your pick of all the specialty shops and restaurants along US Highway 192 and there is a 24-hour Wal-Mart that is 5 minutes away. 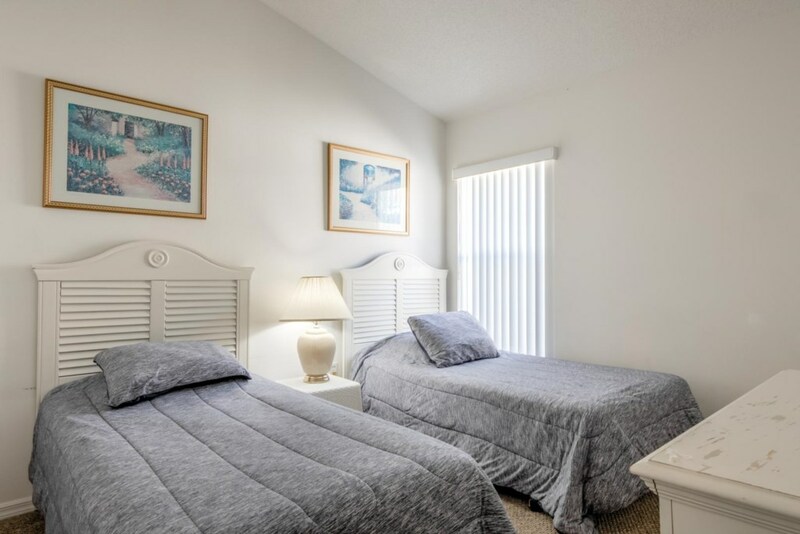 Eagle Pointe is only a 12 minute drive to all of the Disney Parks and Downtown Disney and only 20 minutes to SeaWorld, Universal Studios, Islands of Adventure and International Drive with all of its attractions and restaurants. 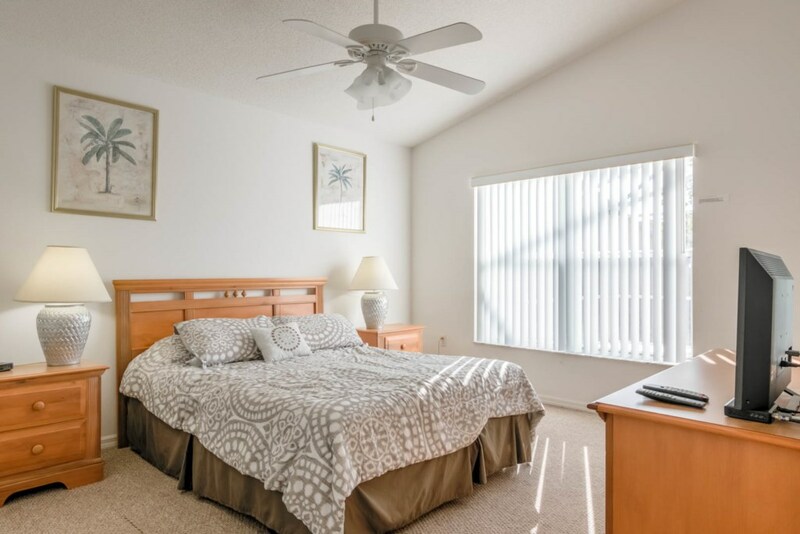 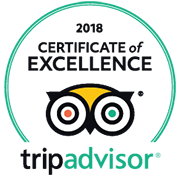 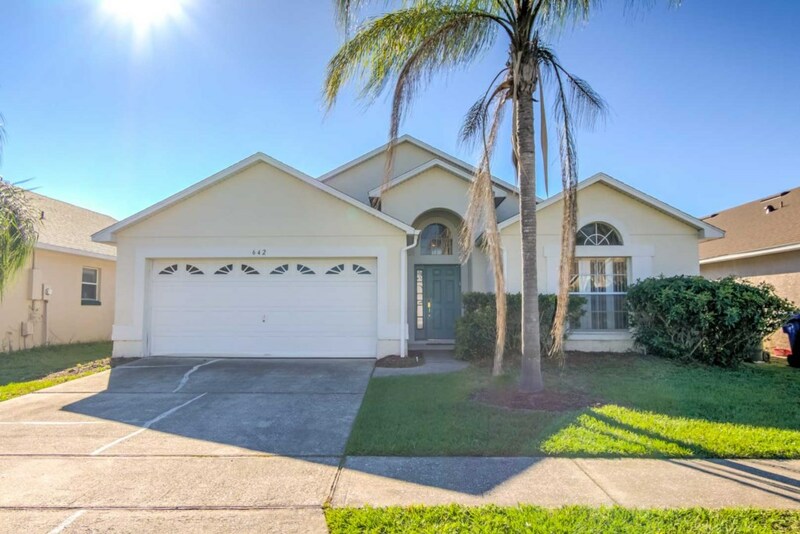 Just a short drive takes you to I-4 and west to Busch Gardens, Tampa and the breathtaking beaches of Clearwater and St. Petersburg or east to Kennedy Space Center at Titusville and Daytona with its beaches and NASCAR. 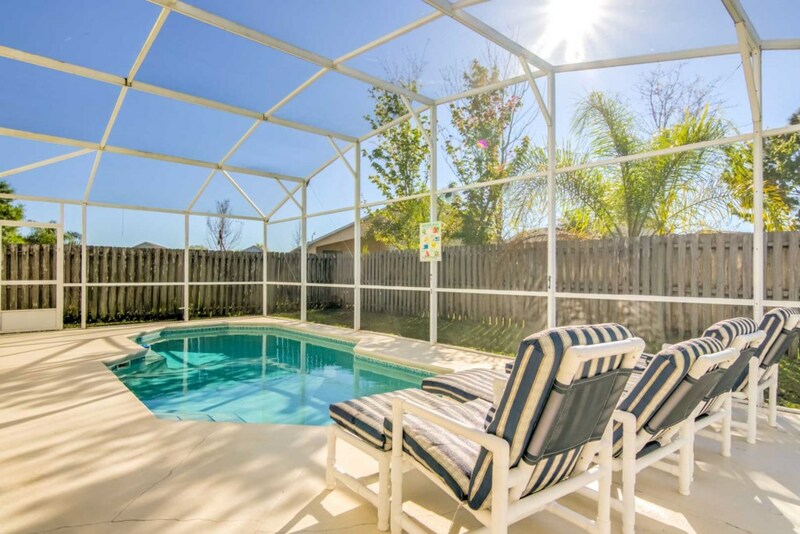 Eagle Pointe is the perfect rental home community for your next vacation!